With debt in the UK worse than at any time on record, it may come as no surprise that one in ten households have a payday loan. Many people who take out these types of loans are desperate, they have found themselves in circumstances which haven't been born out of 'living beyond their means'. Many need credit for basic needs such as travelling for an interview or looking after children and buying food. The more we hear, the more we know this is about people needing to pay for basic needs. 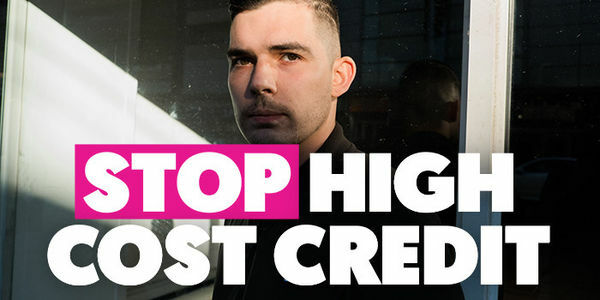 In the UK last year, official data showed unsecured credit – like credit cards and payday loans – climbed to a staggering high of more than £205bn, with 1.4m lower-income households resorting to high-cost credit to meet living costs. Some simply cannot make ends meet no matter how hard they try. We at Debt Hacker want to see a world where people with problem debt are treated fairly and lenders have to play by the rules. We no longer want to see scared children because bailiffs have knocked at the door or people being evicted as they couldn't pay their rent or tragically commit suicide because they felt helpless as their debt spiralled out of control. So it is more important than ever to write to your local MP to ask them to call time on payday lenders and make sure that loans are affordable. By signing this petition, you are not only taking action against high-interest lenders, who prey on the vulnerable, but an email will be sent directly to your local MP who can raise this vital issue with the Economic Secretary to the Treasury, John Glen. Thank you for helping hack the nation's debt and put unscrupulous lenders out of business. I would like to bring to your attention the issue of payday lenders. You may have seen the story of Danny Cheetham on the BBC. Many different payday lenders offered him loans at sky-high interest even though they knew he was a gambling addict. His initial £100 loan spiralled into a debt of £19,000. And yet the Financial Conduct Authority are asleep at the wheel. They are not enforcing their own rules on affordability that might have saved Danny and millions of others like him from becoming trapped by debt. I am appalled by this. Please, can you make sure this never happens again? You can do something to help fix it. I'd like to ask you to write to the Economic Secretary to the Treasury, John Glen, and ask him to instruct the FCA to enforce their rules on affordability checks. Please let me know if you decide to do this.